OBP is delighted to announce that a new web version of one of our Classics Textbooks is now available online. 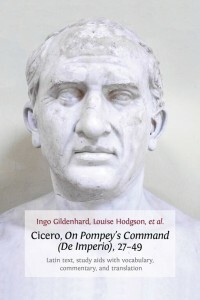 Cicero: On Pompey’s Command (De Imperio), 27–49. Latin Text, Study Aids with Vocabulary, Commentary, and Translation, ed. by Ingo Gildenhard, Louise Hodgson, et al., was published by Open Book in 2014 and was previously only available on our website. This edition can be found through this link – http://www.openbookpublishers.com/product/284/ . Now, the book can also be accessed online in a brand new web edition as part of the Dickinson College Commentaries series, with the full text available here: http://dcc.dickinson.edu/cicero-de-imperio/preface-and-acknowledgments . 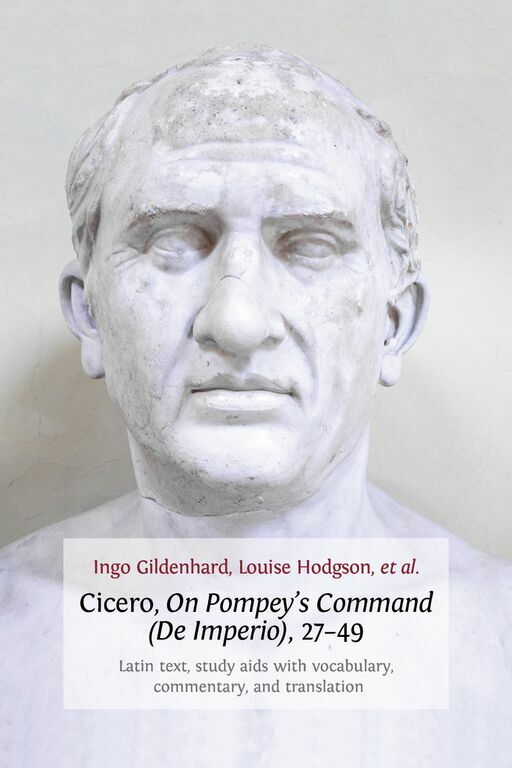 Open Book’s Classics Textbooks series began life in 2011 with the publication of Ingo Gildenhard’s Cicero: Against Verres, 2.1.53–86. Latin Text with Introduction, Study Questions, Commentary and English Translation. The series continued a year later with Virgil: Aeneid, 4.1–299. Latin Text, Study Questions, Commentary and Interpretative Essays, also by Ingo Gildenhard. Following comparisons between our Classics Textbooks series and the Dickinson College Commentaries series (online editions and commentaries available at http://dcc.dickinson.edu/ ), we decided to investigate the possibility of a collaboration with DCC. The result is the popular Open Access series of combined print and web versions. Open Book creates and publishes the finished print versions and DCC provides the digital interactive text-and-commentary versions on their website. Converting the text of Cicero from a printed book into a web resource required some interesting technical work. Francesca Giovanetti, a Master student at King’s College, London, spent a month working at OBP, modifying the HTML files from the ePub version so that they could be uploaded to DCC’s content management system. An automatic method for doing this was devised and will be used to convert three more of our Classics books in the near future. The linear content of the book also needed to be adapted to the hypertextual structure of online resources, with the text divided into sections to allow for navigation on the web. The aim of the series is to offer a full and easily accessible learning tool for students, combining traditional print publications with online resources such as pictures, maps, audio content and animations. The move towards integrated online content is an important step in the development of Open Access publishing and Open Education resources.